Blues on Broadbeach is one of the largest free music events in Australia. Held on May 18 to 21st, the festival is celebrating its sixteenth year, having started in 2002. Cold Chisel guitarist and successful solo artist, Ian Moss is one of almost 70 acts to perform over the four day festival including: Bonnie Tyler, Slim Jim Phantom Trio, Kevin Borich, Ray Beadle, Cash Savage And The Last Drinks, Jimi Hocking’s Blues Machine, Harts, Louie Shelton Bluesland, 19 Twenty and more! Ian performed at the multi-award winning event once before and is keen to make his return. Playing Sunday, on the Surf Parade Stage, he plays ahead of Welsh songstress, Bonnie Tyler. Ian began his professional music career as the guitarist for legendary Australian band, Cold Chisel. As if fate, Ian answered an advertisement for a guitarist in a shop window in 1973 – and thus, the band was born. By 1980, Cold Chisel was renowned as one of the most dynamic live acts of their day and their hard-rock with a touch of blues sound made them one of the biggest bands in the country. To date, they’re ARIA Hall of Fame Inductees and have sold an impressive 6.7 million albums in Australia alone. Blues on Broadbeach attracted more than 166,000 people last year, which is quite a departure from the year Ian had last year fulfilling a long-term dream to tour regionally around Australia. Ian’s vocals can be heard on many Cold Chisel songs including: Never Before, Bow River and a gorgeous rendition of Ray Charles’ Georgia. But he’s no stranger to solo success. He released his iconic debut single Tucker’s Daughter in 1989 off his debut album, Matchbook that same year. That same year he won five ARIA awards for Best Australian Debut Single and Best Australian Debut Album, Australian Song of the Year, Best Australian Album and Best Australian Male Artist. His second solo single, Telephone Booth, also did well. He says blues is a strong part of his guitar playing and singing, and that’s evident in his music. He grew up in Alice Springs listening to the soul sounds of Wilson Picket, Odis Redding, Sam Cook and Aretha Franklin. When he started playing guitar, his strongest influences were Jimi Hendrix and Eric Clapton. Currently at work on a new album, he’s been testing one of the tracks, Broadway on the road. The working title at the moment is Pictures in the Sand, taken from the title on one of the tracks on the album. This album is one Ian is proud of having a heavy hand in the majority of writing – more than he’s ever had before. He will be debuting up to three new songs at Broadbeach, although he has decided to keep most of the tracks a surprise until the album’s rumoured August release. 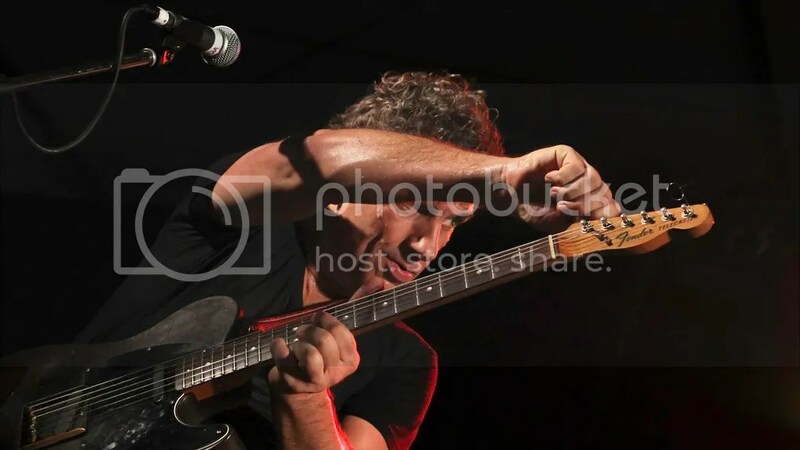 Ian Moss performs at Blues on Broadbeach Music Festival (May 18th-21st).